What is The Ideal Twitter Follower to Following Ratio? Blog > Twitter > What is The Ideal Twitter Follower to Following Ratio? The so-called golden ratio, or the follower to following ratio, is something you’ll find a lot on marketing blogs and nowhere within Twitter itself. In fact, as far as I can tell, it’s really only mentioned once in all of their site documentation, or at least just in one context. More about that in a moment. If you search for articles about this ratio, you’ll find a lot from 2016, and a lot from 2009, and not so many in between. It’s a subject that was somewhat put to rest, and has revived in the last year or so, because all things are cyclical. A lot has changed in the world of Twitter since the days of 2009. Back then, you might be concerned about your follower to following ratio, your favorites per tweet, and whether or not the upcoming Avatar movie is any good. These days, it’s all about your follower to following ratio, your likes per tweet, and whether or not the upcoming Avatar movie is going to be any good. Okay, so maybe not much has changed after all. The follower to following ratio, which some people call the golden ratio after the mathematics concept, is an important indicator of your success on Twitter. A better ratio indicates more interest in your brand than a worse ratio. A positive ratio is when you have more followers than you have people you follow. 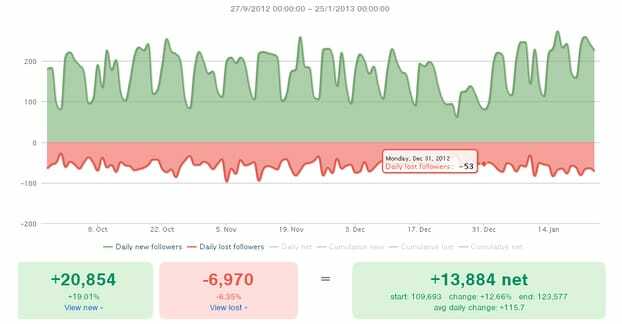 A negative ratio is the reverse, when you follow more people than follow you. Both of these are quite commonly found in the wild, though. A celebrity with millions of followers is going to have a positive ratio. Some, like Neil deGrasse Tyson, have very few people they follow, 51 in his case as of this writing. 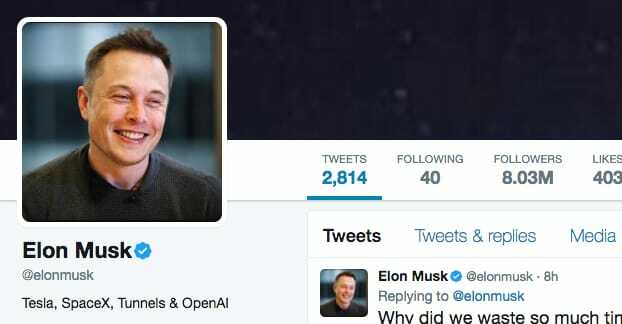 Elon Musk similarly has 7.74 million followers and only follows 40 accounts. On the opposite side of the celebrity spectrum you have people like Ellen, with 66 million followers and who follows 36,000 people, or Yoko Ono, who has only 4.8 million followers and follows nearly a million people. This is the ideal that many people strive for on Twitter; having a massive following and a high positive ratio. Negative ratios, on the other hand, come often in personal use accounts. People who are just using Twitter to follow people they like and enter contests don’t generally have a lot of followers. They might follow a few hundred people or brands, and might have racked up 50 followers between bots, friends, and follow-backs. There’s nothing wrong with them having a negative ratio in this case, it’s simply a matter of using Twitter in a non-marketing way. Of course, as a brand or as a marketer, entrepreneur, or other career promotionist who aspires to have the celebrity ratio, it’s no wonder it’s called the golden ratio. It’s a shining, golden dream in the sky you can reach towards, while struggling with the fact that 99.99% of brands never reach anywhere near those heights, and those that do have been at it for decades. 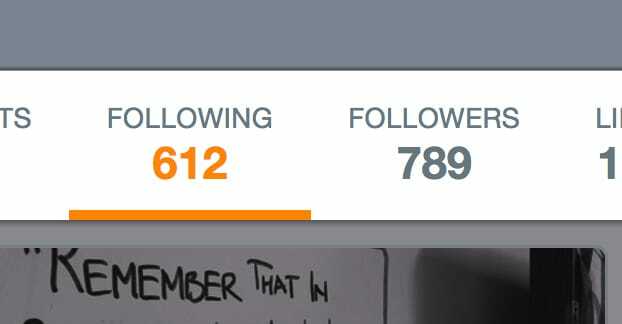 There’s one reason why you might want a high ratio, specifically by keeping your number of people followed to a minimum. The more people you follow, the more content you’re seeing in your feed whenever you log into Twitter. Unlike Facebook, which filters an immense amount of content to keep feeds readable, Twitter kind of just throws everything out there. It’s up to you to filter and keep up with it however you want to do so. If you want to experiment, create a new Twitter account and just start mashing “follow” on the promoted and suggested accounts until you follow about 300 people. Then tune into your feed and try to keep up with it for a few days. I guarantee you’ll be missing out on content and unfollowing people very quickly. People like Yoko Ono, with hundreds of thousands of people on her feed, are most likely not using Twitter for anything more than one-sided promotion. They can’t interact with anyone regularly, simply because the chances of seeing their content regularly are slim to nil. The secret for many of these big names is either that they use a Twitter management app and can flag specific accounts as high priority to watch, or they hire an agency to do their Twitter management and don’t even look in themselves. 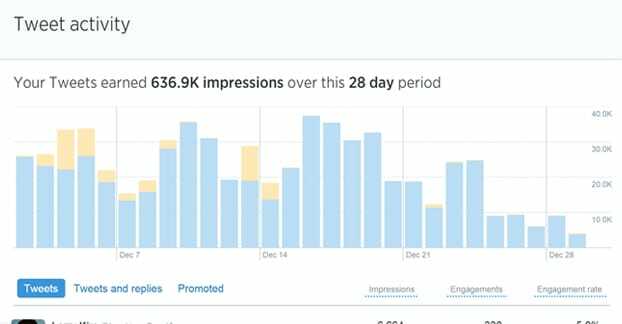 When you follow more than a few hundred people, it becomes very difficult to use the site effectively from a casual standpoint. Now, from a marketing standpoint, you don’t necessarily have to care about your organic feed. The trick I use is to make use of Twitter Lists. I follow people more or less indiscriminately, using it as a reward or to follow brands I like or influencers I like, and so forth. Then I run a few lists of certain types of accounts. I have one for friends I want to keep tabs on, one for goofy content I like to read, one for influencers I want to study, and so on. I never actually look at my primary organic feed. There is, however, also the impression of wrong-doing when you have a high negative ratio as a brand. When you have a large number of people you follow, and an equal or smaller number of people following you, users start to wonder how you’re using the site. After all, if you’re trying to use the organic feed, you’re just cluttering it up. The most likely explanation stems from some of those old 2009 Twitter marketing techniques, particularly the ones about follow-backs and follow back culture. Follow back culture was the idea that, even though Twitter was founded on one-sided follower relationships, the two-way follow back relationship was better for all involved. And, sure, amongst casual users this is probably true. You want to see what your friends have to say and your friends want to see what you have to say. When you throw a brand into the mix, however, things get trickier. The brand doesn’t necessarily care what you have to say, but they’ll follow you anyway, under the assumption that you’ll follow them back. The problem comes when the brand then decides to unfollow these people. You follow a user, get them to follow you back, then unfollow them, and you’re left with a lot of followers and a clean feed you can actually use. Of course, this subverts the follow back culture entirely, and it makes people who have been burned on it less likely to follow you back in the first place. They are also more likely to use a service that will monitor their followers and identify when someone unfollows them, so they can then unfollow back if they desire. This is why, eight years later, follow back culture has more or less died and Twitter has rules regarding proper following. Twitter doesn’t like when people try to exploit their systems for marketing gain. They have actual marketing and advertising platforms if you want to do that. When you’re trying to exploit culture or apps to fish for follows and follow-backs, then unfollow those people later to improve your ratio, you’re doing what Twitter calls follower churn. Remember back at the start when I mentioned that Twitter only talks about the ratio of followers to followings in one place? That place is in their acceptable use policies, where they talk about aggressive following and follower churn. If you follow and unfollow people too rapidly, particularly when you’re doing it in a way that increases your follower count through mutual follows, Twitter is very likely to sanction your account. It’s an unnatural use of the follow action, and subverts the intention of the social network. Twitter is in the right with this one. Here’s a secret that shady Twitter marketers don’t want you to know; basically no one follows back automatically anymore. The only people using follow back scripts or apps, or still doing it manually, are either bots or low quality marketers who haven’t read a new technique in years. What this means is that the people who follow you back when you try to fish for follows aren’t going to be very good users. They follow you, sure, but they don’t contribute. You get accounts with thousands of followers and zero engagement on your tweets. Yes, it’s slower in general to build a following of people who are actually engaged. However, they’re people who are actually engaged. Which would you rather have; 10,000 cardboard cutouts in your store, or 100 actual customers? That’s what you’re comparing, and when you think of fake/low quality followers as nothing more than cardboard, you begin to see the issues at hand. So through all this I haven’t answered what a good ratio is, and you can probably guess that I’m going to tell you there isn’t one. There’s no ideal ratio. Personal accounts don’t care, of course, and business accounts should aim for something positive, but that’s secondary to having valuable, engaged followers. I mentioned that your ratio is an indicator of your success, and I mean it precisely. 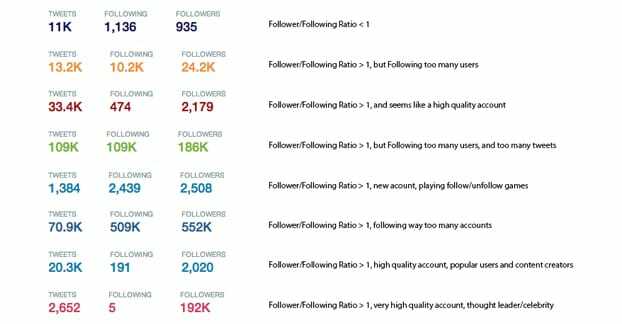 Your follower to following ratio is an indicator, but it is not really a factor. Oh, sure, a few people might look on your account skeptically if you follow thousands of people and have fewer followers, but that’s a narrow situation. For the majority of people, if you’re posting content they like or you’re a brand they know, they’ll be willing to follow you regardless of your follower or following counts. Most people don’t even think about a ratio beyond academic curiosity. There’s no real trick to acquiring followers on Twitter, at least not legitimate followers. If you want real followers, you need to go about the slow, grindy process of actually building up an audience. You need to post good content, you need to interact with your fans, you need to follow and retweet influencers, and you need to generally be the kind of account people want to follow. Things like contests can help, but can also get you followers who will either disappear quickly or who will not engage outside of contests. There is one point where your ratio comes into play, and it’s with mechanical limits on all Twitter accounts. As a brand new, freshly created Twitter account, you can only follow up to 5,000 accounts. If you want to follow more, you will be unable to do so, until the number of people who follow you reaches or exceeds that 5,000 point. This is to ensure that you don’t build with aggressive follower churn into high levels, and it’s why you often see the people who do use churn to grow hovering in the few thousand follower range, stuck by limitations. This limitation is actually present on every account on Twitter, and it’s mechanically tied to the platform itself. There’s no way to circumvent it, and Twitter cannot lift the limits on a case by case basis. The only way around the limit is to get more followers. The moral of the story is to not pay attention to metrics and techniques from a decade ago and research modern methods of growth. If you really want to learn how to grow a Twitter account, I recommend checking out some advanced techniques like these. I’m sure by now you know that you need to tweet organically and engage with users, but you can use some actual advanced techniques as well. What Does The Ideal Twitter Content Strategy Look Like? Should You Follow Back All of Your Followers on Twitter?